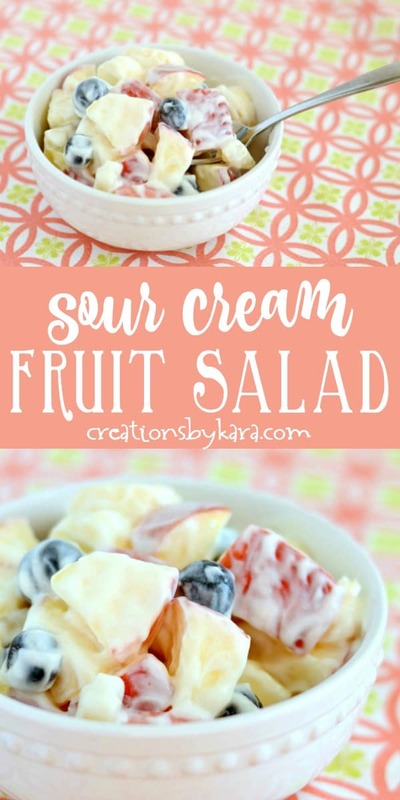 This Sour Cream Fruit Salad is so easy to whip up, and you can use any fruit you have on hand. The sour cream brown sugar sauce is delicious! 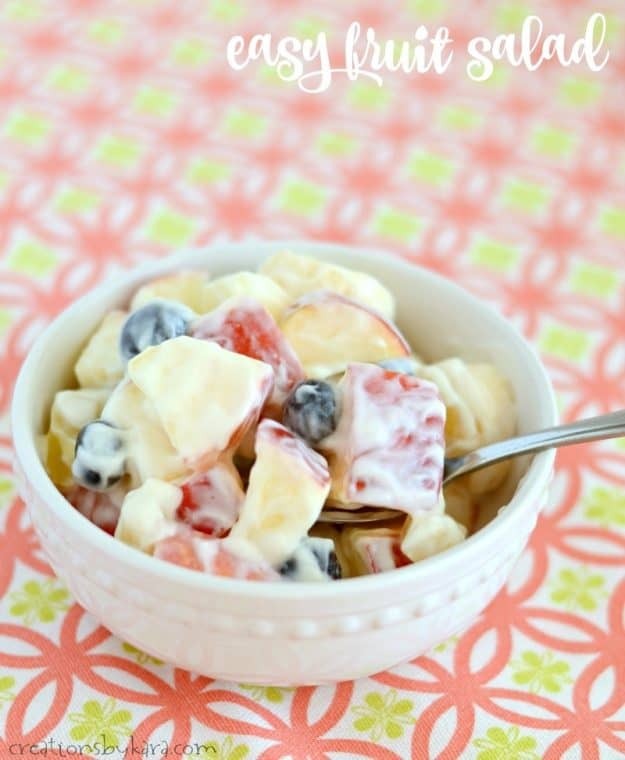 I tweaked a simple fruit dip recipe to come up with this fruit salad. The sauce is just two ingredients, brown sugar and sour cream. It can be whipped up in just minutes! It’s perfect for picnics, barbeques, and even family dinners. I almost always have sour cream in the fridge, so this is a really handy salad recipe for me. I like to use fat free sour cream, but you can use whatever you like. 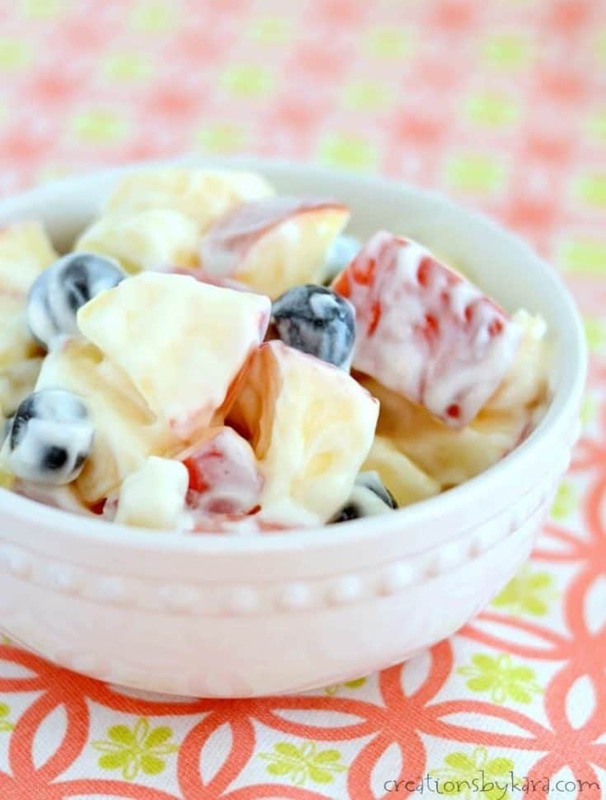 You can also switch it up to use whatever fruit you have on hand. Strawberries are also really tasty. Hope you like it! Whisk the sour cream and brown sugar together in a large bowl till the brown sugar is dissolved. Add fruit and stir till well coated. That’s it! So simple, so yummy. 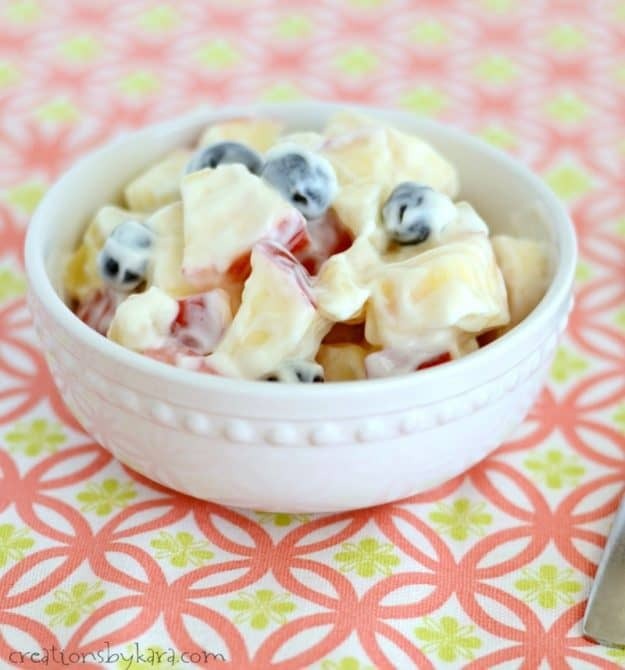 Creamy fruit salad made with sour cream and brown sugar dressing. Whisk together sour cream and sugar in a large bowl till sugar is dissolved. Stir in remaining ingredients and serve. Yum! 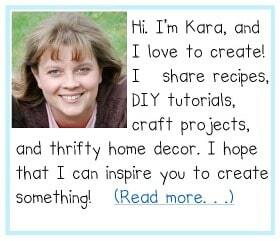 -You can substitute any fruit you have on hand. I've used strawberries and they are fabulous! Thanks for sharing. I love it . it was sweet but perfect. Thanks so much for visiting Patricia! I’m so glad you liked it!